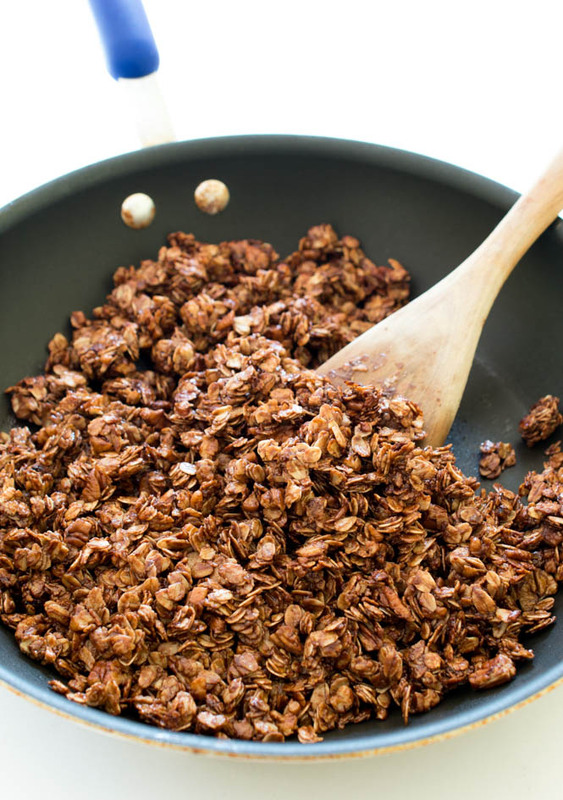 Super Easy 10 Minute Nutella Skillet Granola. Sweet, super chocolatey and loaded with tons of big clusters. Today I discovered that granola can be made in a skillet AND can be made in less than 10 minutes. Pretty amazing huh!? You all know by now that I love my granola. 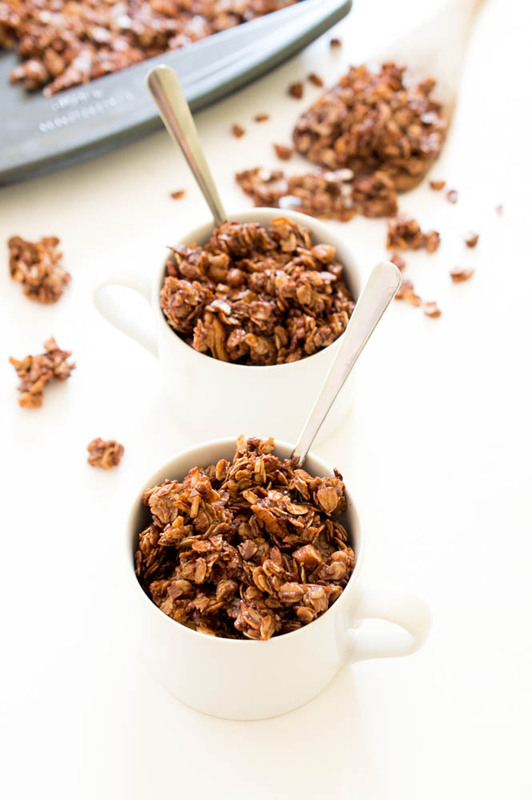 Maple Pecan, Peanut Butter Chocolate Chip and now this Super Easy Nutella Skillet Granola. This granola is loaded with chocolate flavor. It tastes more like dessert than breafkast. Serve with a splash of milk or over your favorite yogurt. I personally like to snack on the granola until it’s gone. (which by the way is not very long). Loaded with creamy Nutella, cocoa powder, honey, butter, brown sugar and pecans. 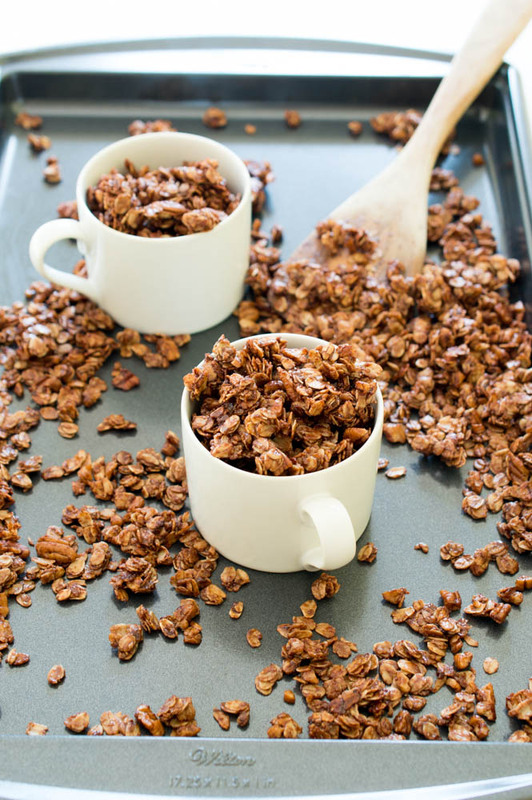 This granola is ridiculously simple to make. With only 7 ingredients and less than 5 minutes of prep time and 5 minutes of cooking. 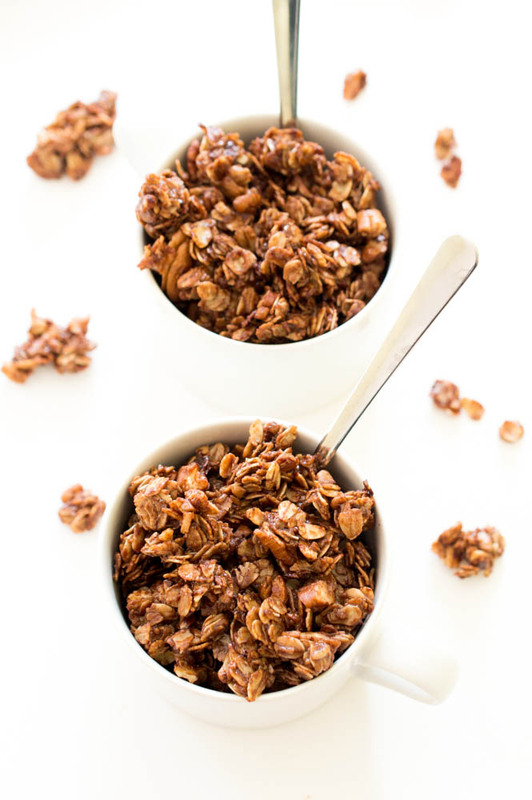 To make this granola simply melt honey, butter and nutella in a skillet until smooth. Add in oats, pecans, sugar and cocoa powder and mix until everything is coated. Cook for about 5 minutes and transfer to a baking sheet to cool. The granola hardens as it cools. (It tends to be sort of soft when it first comes out of the pan). This recipe will make a little over 2 cups. 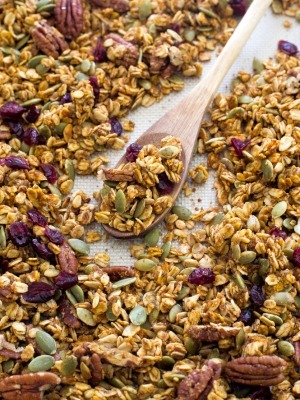 The granola can be stored for about a week in an airtight container in your pantry. You can even freeze it and take it out as needed. 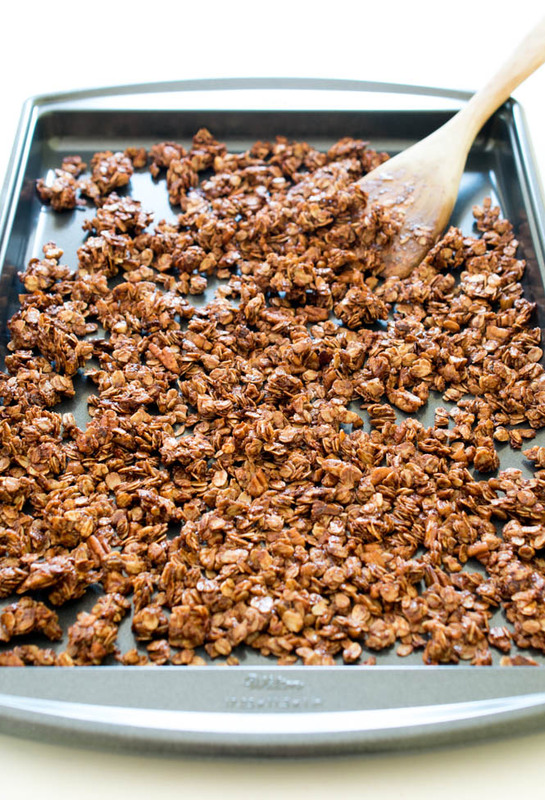 Skip the store bought stuff and give this homemade granola a try! Looking for more breakfast treats? 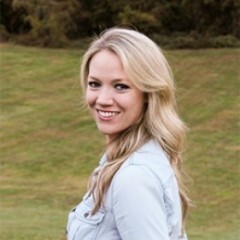 Here are a few you’ll love! Melt butter, honey and nutella in a large skillet. Add in oats, pecans, cocoa powder and brown sugar. Stir to coat the oats. 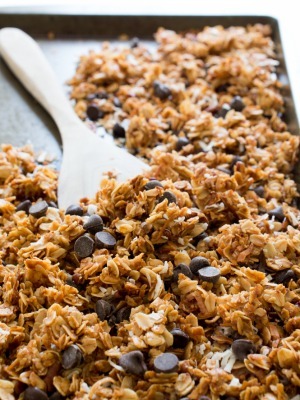 Transfer the granola to a baking sheet and let cool. (The granola will harden as it cools). Takes about 15-30 minutes.